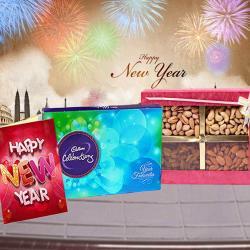 Product Consists : Cadbury Celebration Chocolate in a Box (Weight 118 : gms), Assorted Sweets in a Box (Weight : 500 gms ) along with New Year Greeting Card. 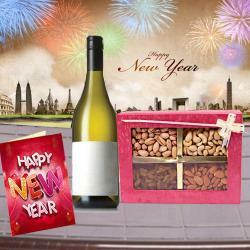 Spread festive cheer among your loved ones by treating them to elegant gift hampers on this coming New Year. 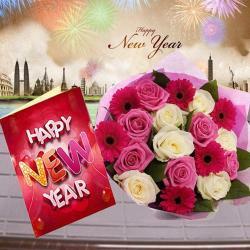 This is a special gift hamper that comprises of a Cadbury celebrations Box that contains assorted mouth watering chocolates, a half Kg Box of yummy assorted sweets that are absolutely irresistible and a funky greeting Card with New Year wishes for your loved ones inside. 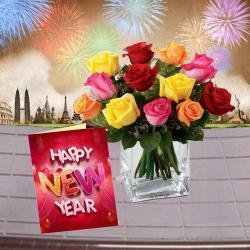 This outstanding gift hamper is all set to fill their New Year celebration with lots of happiness and joy. 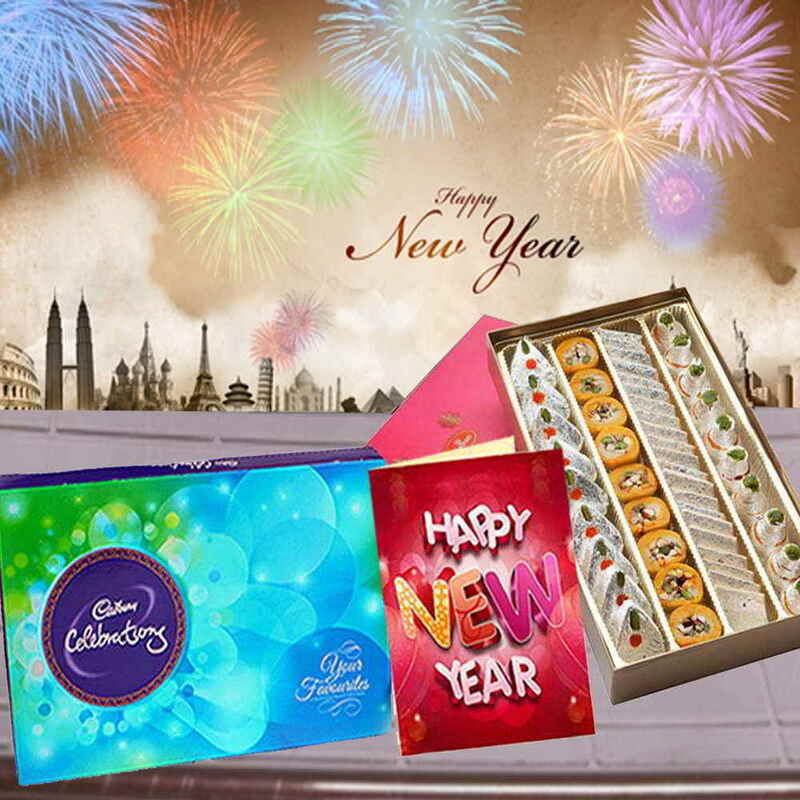 Product Consists : Cadbury Celebration Chocolate in a Box (Weight 118 : gms), Assorted Sweets in a Box (Weight : 500 gms ) along with New Year Greeting Card.